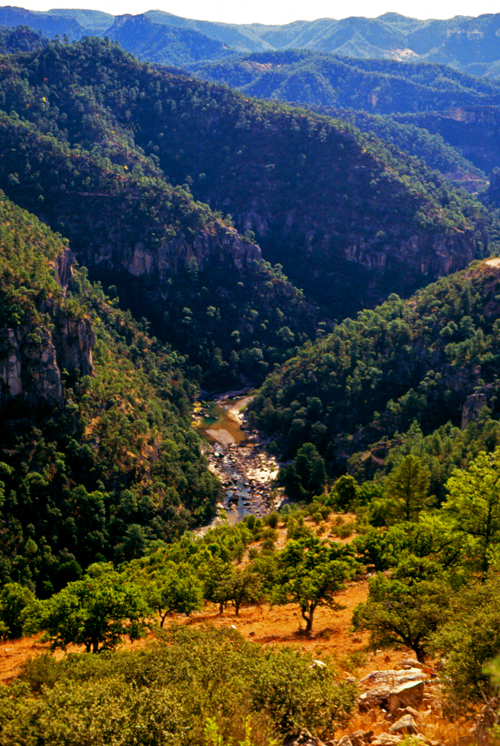 Mexico’s Copper Canyon is four times larger than the Grand Canyon. The trip was simply wonderful! The enormity of the canyon is really incredible to witness! Some of my favorite parts of the trip were the train ride to/from El Fuerte to Creel, hanging out between the cars and enjoying the fantastic scenery. All of the transfers you planned worked out absolutely perfectly! The hotels you chose —in El Fuerte and El Mirador were amazing! Hi Lee, thank you for writing this article on my great uncle Ricardo Gonzalez with Francisco Villa and his wife Maria Luz Corral de Villa. He had three brothers. Jose, Simon and Daniel who was killed in WW11. Also he had three sisters, my grandmother Prajedes, Epifania and Isabel, all children of Estefana (Fanny) Gagen and Pedro Gonzalez. Pancho Villa with Ricardo Gonzalez, great uncle of Bessie “Crickett” Quijada. This is so cool, Ricardo was my Great-Grandfather and Crickett and Alberto are my cousins. Ricardo was my great grandfather too! Small world! My family and I have been building a family tree of our family, the Corral’s, and since we only know of the Corral side. Everyone has passed away in our blood line from the elderly side and can only hope to find out more about Maria through her family or if we could find out if Francisco Villas side of the family happen to know more about Maria Corral. We have all been told by our (now deceased) grandparents that our family is related to Francisco Villas wife Dona Maria de la Luz Corral de Villa. I’m told my grandfather Joseph Louis Corral (born 1927) had a father named Leopoldo Corral (a Police Officer in Mexico and was assassinated as well) and his wife Maria Ortiz Figueroa Corral (born 1888). We know Maria Luz had a father named Jose de Jesus Corral, but we haven’t pin pointed exactly if she had any brothers our cousins. We’re told Leopoldos aunt was Maria Luz Corral. Jonathan my mother Alejandra Corral’s grandmother was Benigna Corral which was Luz Corral Sister. She still has memories of her grandmother and my grandmother (my mother’s mom) knew Luz Corral around Durango and Buena Sevi. 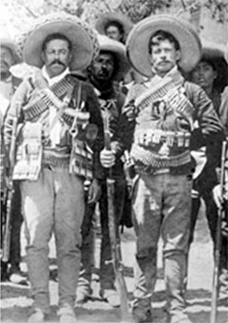 My great great grandfather talked a lot about Pancho Villa. 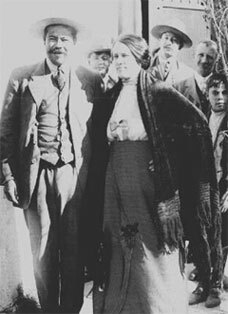 Pancho Villa and his wife, Luz Corral de Villa, in 1914. 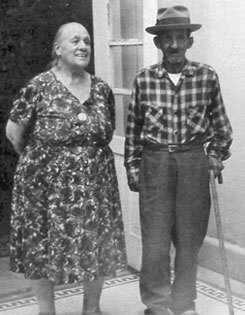 Dona Luz Corral de Villa with Ricardo Gonzalez in 1967. 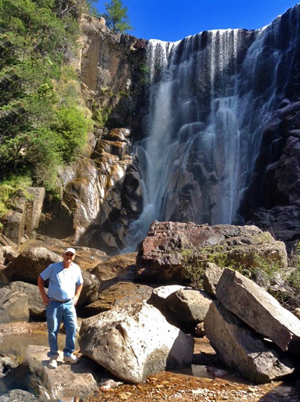 The California Native has been leading tours to Copper Canyon for more than 30 years. 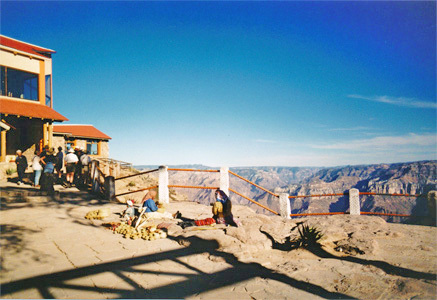 Located in the Sierra Madre Mountains, Copper Canyon is four times larger than the Grand Canyon. 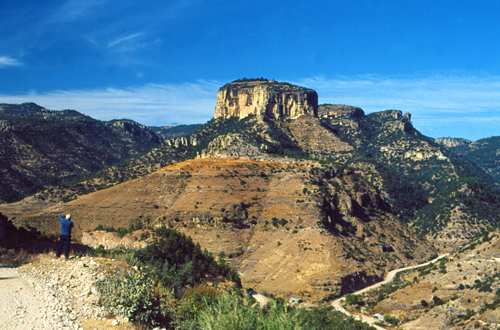 This area is rich in history from Pancho Villa and the Mexican Revolution to the booming silver town of Batopilas. We offer a full range of itineraries from small group escorted tours to worry-free adventures designed for the independent traveler. One of the many highlights of our California Native 14-day Tibet Everest Explorer is a visit to the North Base Camp of Mount Everest. 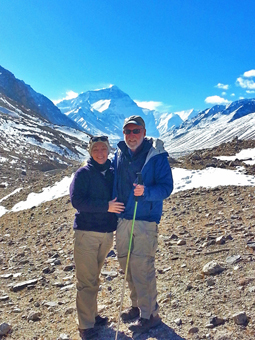 California Native’s Lee and Ellen Klein visit the North Base Camp at Mount Everest. 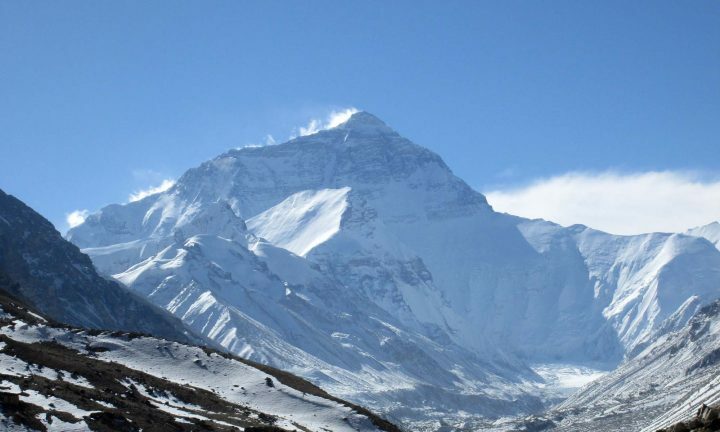 Mount Everest, also known in Nepal as Sagarmāthā and in Tibet as Chomolungma, is Earth’s highest mountain. 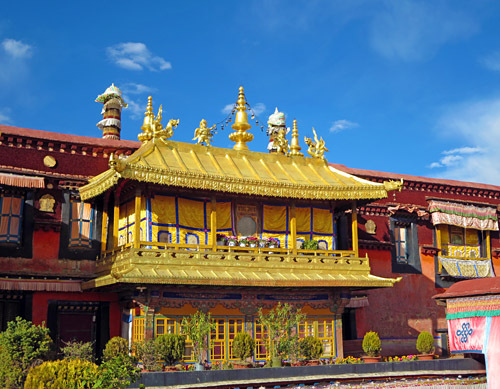 It is located in the Mahalangur mountain range in Nepal and Tibet. Its peak is 29,029 ft above sea level. 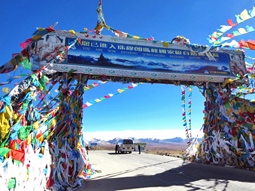 The international border between China and Nepal runs across Everest’s precise summit point. For many people, the main reason that they go to Tibet is to see the amazing view of Everest’s famous North Face. 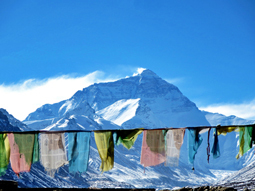 The view of Everest from the Tibet side gives a clear, sweeping view of the mountain. 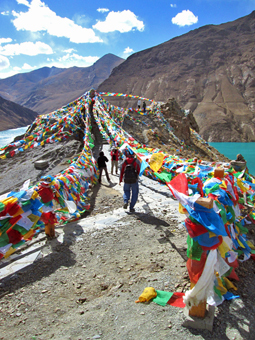 Unlike the Nepal side of Everest, no hiking is required to reach the Tibet side of Everest. You can drive all the way to Everest Base Camp. 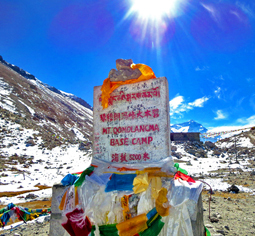 The North Base Camp is accessed by vehicle through a 100 km road branching to the South from the Friendship Highway near Shelkar. The only way that foreigners can go to the Tibet side of Mt. Everest is by arranging an organized tour through a tour company. There are NO exceptions. 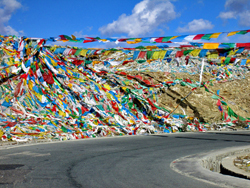 Included in our 14-day Tibet Everest Explorer are the required travel permits, tour guide, private vehicle and driver. You cannot use public transportation (ie. buses) to travel to Everest. The California Native has been leading tours to exotic destinations for more than 30 years and people are always asking what our favorites are. 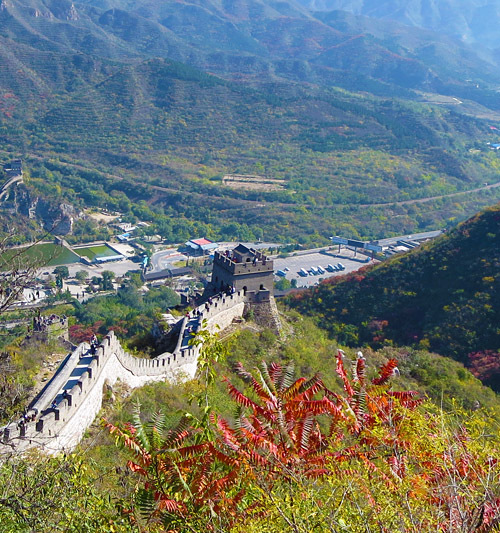 One of our favorite trips is this wonderful journey which begins in Beijing, China, travels through Tibet and hits its high point at Mount Everest Base Camp at the top of the world. 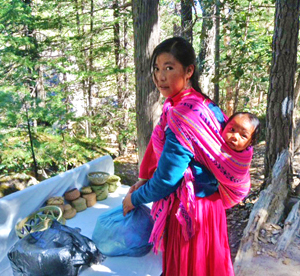 I wanted to thank you for all your help and arrangements for our Copper Canyon trip! We got back Saturday night after a week of very relaxing travel. Everything was exactly as planned and we were very pleased with the accommodations and the trip. We had a very good time and the scenery was spectacular. Martín was an excellent driver on the “road” to Batopilas. He even put up with my bad Spanish! 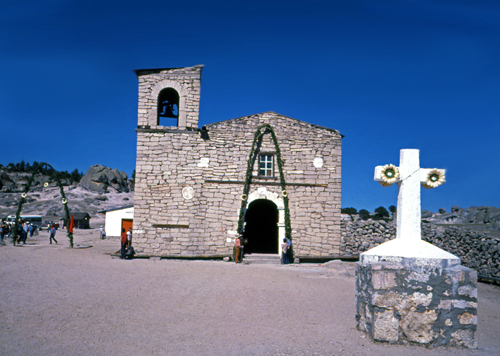 Tarahumara church in the Copper Canyon. 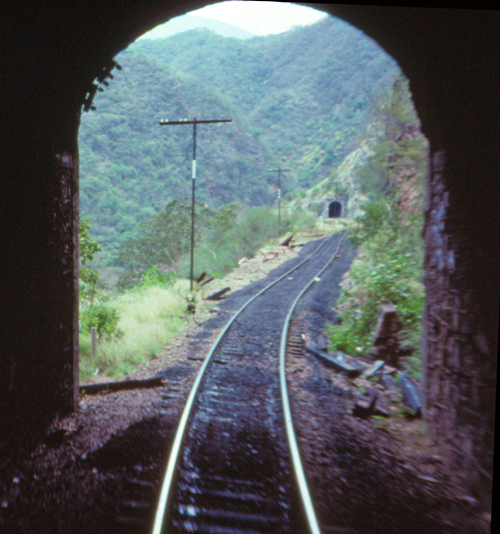 El Chepe train exiting one of the 86 tunnels it will pass through as it travels through Copper Canyon. 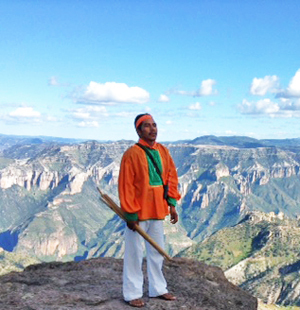 We just recently returned from your 7 day Copper Canyon tour and I just wanted to tell you how impressed we were with our guide, Rob. He was professional and well informed but it was his people skills – his knowing the nuances and subtleties of our group that made the difference. We were a group of ten family members ranging in age and attitude from 13 to 80 and Rob not only managed to handle everyone’s needs – he anticipated them – even before we ourselves could. It was not an easy task given the diverse age and interests in our group and Rob did it with ease, style and grace. Watching him “wrangle” my 13 year old nephew, pacify my brother and his outspoken negativity and entertain my 80 year old mom was like watching an artist at work. It was truly impressive. I want to stress how much we enjoyed our hiking of the Dingle Way in Ireland. We met the nicest people, who were so friendly and helpful and stayed in lovely little towns, in great B & Bs. The scenery was spectacular! If you ever get the chance to do this hike we highly recommend it. Scenic path in the Irish countryside. 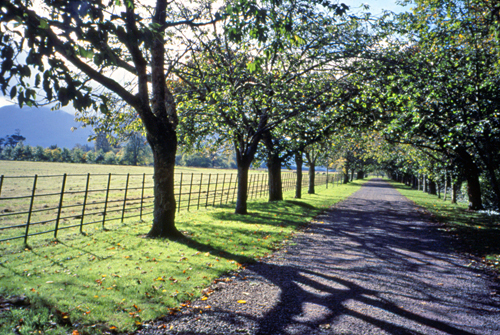 Walking is a great way to see and experience Ireland! 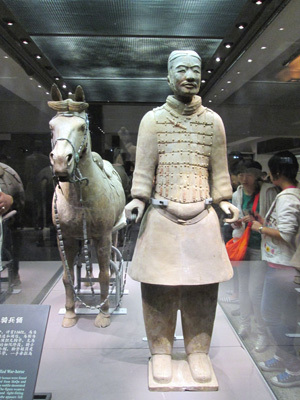 As I promised, here are my comments to our trip to China. Our trip was great, well organized. All guides were professional and knowledgeable. Hotels nice and clean, personal polite and helpful. 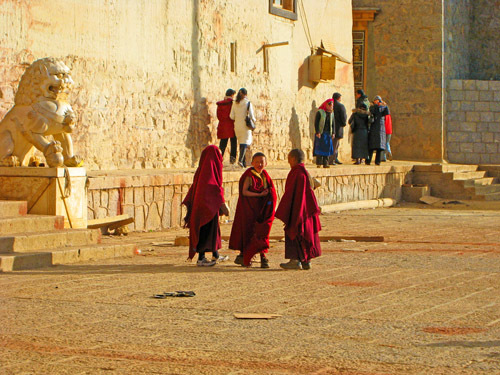 Johang Temple in Lhasa Tibet. I really enjoyed it all. Some of the favorite parts of the trip were the visits to Urique, Batopilas and the train trip. The local guides and drivers were helpful and friendly, especially the guide at Divisadero. We had a lovely river tour in El Fuerte. Our driver in Batopilas took us to see the entrance of a mine, he definitely knew his way around. I liked having our train tickets, accommodations and transportation organized for us. We then had the freedom to do what we wanted the rest of the time. Everything was well organized and seamless, good organization up front. It was grand and we felt safe. I have many memories that I will cherish. Thank you. Quick stop for a photo on the way down to Batopilas. Imagine the gut feel of gravity pulling down—your hands gripping the paddle down in the water, your legs braced down into the side of a big rubber boat, heart beating down in your chest, teeth clenched down until SPLASH, the boat plows a wave and sends a white spray sunbursting up over you and your crewmates. A brief pause to cheer, but you stay focused, because right now you are drifting down into another exciting rapid. 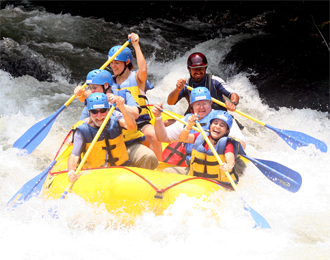 River Rafting in Costa Rica has long been a favorite destination for both the beginner and the experienced rafter. With ample annual rainfall, mountainous rainforest landscapes, and plenty of road-to-river access, the country prides itself on being a whitewater paradise. To top it off, Costa Rica has warm weather year round making it perfect for a swim during the calm intermissions between rapids. The only thing that comes close to the thrill of sluicing through a rapid is when you take a moment to look around at the natural beauty that is Costa Rica. And from a raft on the river, you are at the beating heart of it. The turbulent water awakens the senses. Tours depart in the early morning from San Jose. From there, you are driven to the outpost for a delicious breakfast. After breakfast, it’s to the river’s edge where your equipment is adjusted for a proper fit and you receive safety instructions and tips for basic paddling strokes. 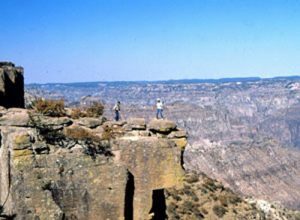 Safety is always a top concern during any tours hosted by The California Native and the guides are experienced professionals with extensive knowledge of whitewater navigation, river rescue, and first aid. Travelers with The California Native enjoy experiencing the rapids and the rainforests on the Reventazón or Pacuare rivers. The Reventazón River is a good place for those curious about the sport and want to ease into it. The various stretches of the river accommodate all types of people, from those who want to take a calm, relaxing, scenic float trip, to those seeking a more thrilling day in challenging Class II and III rapids. For those who want even more excitement, the Pacuare River is a great choice. Chock full of expert-level rapids, the Pacuare is a world-famous run guaranteed to get the pulse pounding. Flowing toward the Atlantic, the 14-mile run winds through dense jungle giving you plenty of opportunities to spot parrots, toucans, monkeys, and butterflies. But be sure not to take your eyes off the water for too long, because the rapids, which in some spots can be rated up to Class V, are best viewed from inside the boat rather than out. If you do become separated from your seat, don’t panic, the guide will be quick to fish you back on board. For those who can’t get enough, The California Native offers a 2-day option where guests are able to overnight on the Pacuare at a riverside lodge. There is no better way to relax from a day of paddling than to be lulled by the sounds of the river while looking forward to another day of rapid transit. On the second day, more rapids with names like ‘Two Mountains’ and ‘Cimmaron’ (translated from Spanish as ‘wild’) lay downstream ready to challenge you and your crew mates. So grab your river-runner sandals, join The California Native on a Costa Rica Adventure, and come aboard!